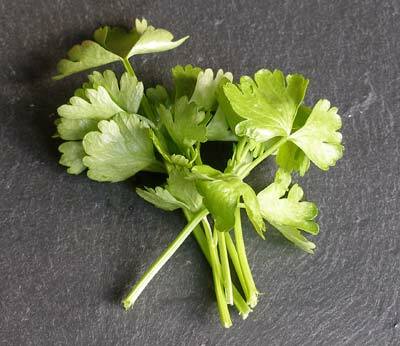 Chinese celery, the seeds of which are used as well as the leaves. Asian celery is smaller and darker than European celery. It is also stronger, so it is not used raw but is used for flavouring stocks and soups.